and finally of my new lab (I WILL BE RECRUITING SOON) starting in January 2020 at the Université de Sherbrooke! My projects at the University of Calgary involve the microorganisms that inhabit our gut. 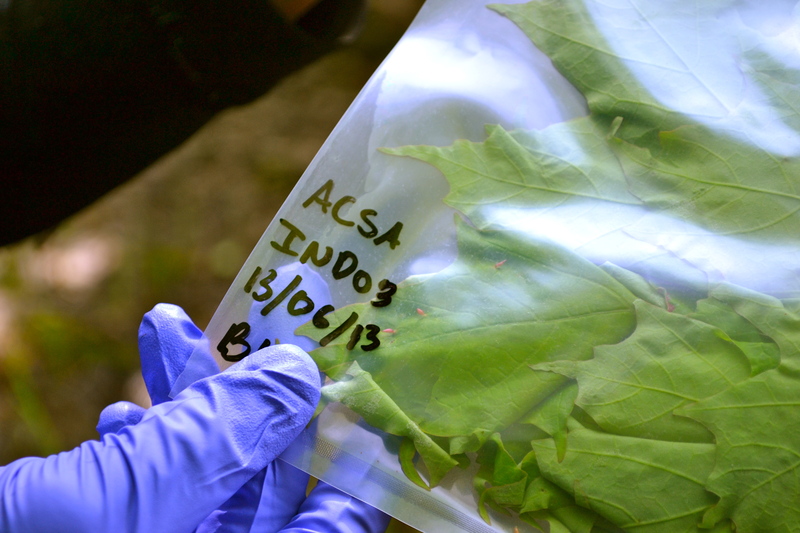 Sadly it is much less fun to extract the DNA of microbes from poop than from tree leaves! But it is very interesting to investigate how the early-life microbial communities (potentially in the first 3 years of life, while the gut bacterial diversity is increasing at a fast pace) contribute to the training of the immune system and reduce the risk of developing allergies and asthma later in life. Although most gut microbiome studies have focused on bacterial communities, micro-eukaryotes could also play a key role in driving the early-life immune development. One of our hypotheses is that fungal communities in the human gut are regulated by their bacterial counterparts, but when antibiotics are given in early-life these eukaryotes suddenly reach new niches to exploit (left void by the sudden decrease in bacterial diversity) and this fungal overgrowth could create an deranged mucosal immunity leading to higher prevalence of asthma and allergies. We are also interested by the question of diversity vs. functions: we are wondering if it is diversity driving the immune development or is it the presence of key microbial fonctions? Another project of interest to me is the relative of top-down vs. bottom-up processes in controlling the host-microbe and microbe-microbe interactions in the human gut. I am using my expertise in microbial ecology, bioinformatics, genomics, statistics, and microbiology to pursue these highly interesting questions. As you can imagine this is a pretty big leap for me coming from a Biology Department to a Medical Health Department but the challenges are what shape us as scientists and I have never been more excited about my work! Bacteria and fungi colonize almost all plant surfaces and tissues, from the roots (rhizosphere) to the leaves (phyllosphere). The diversity of these communities regulates several ecosystem functions, principally through its implication in enzymatic processes (nutritional, defensive and biochemical). Microorganisms are characterized by a high surface/volume, rapid growth and short generation time, allowing microbes to respond quickly to any environmental modifications. Every change in microbial biomass, metabolic activity or community structure could be considered the beginning of a global ecosystem change. Since 2000, a major revolution has affected microbial studies as the development of high-throughput sequencing methods has freed researchers from culture-dependent methods that limited census sampling depth and quality. 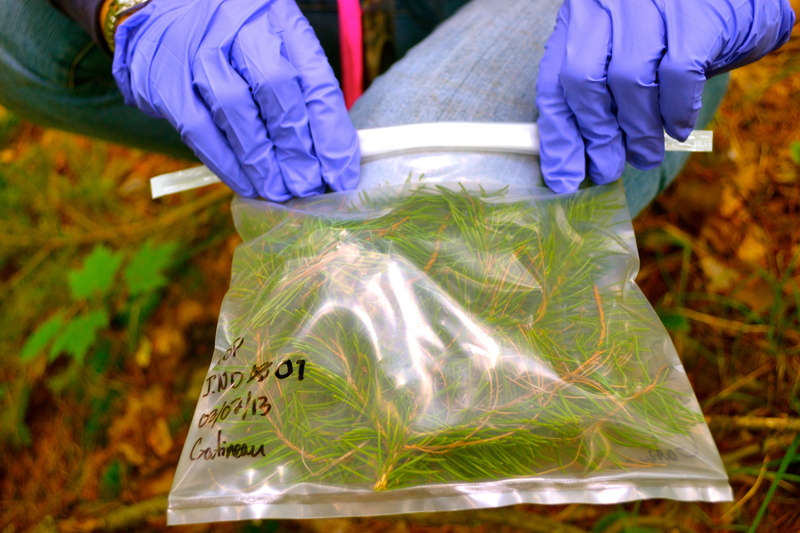 Whereas various studies have quantified the soil microbial community’s key role in regulating plant community formation and dynamics, an insufficient number of studies have looked at phyllosphere microbial communities and the role they play in forest ecosystem dynamics. Some recent results suggest a very high complexity of phyllosphere microbial community dynamics, but the key determinants of the structure and variation of the leaf-habitat communities still need to be identified. This entry was posted in Ph.D. Project, Postdoctoral Fellow. Bookmark the permalink.